chi a giocar chi a ballar. 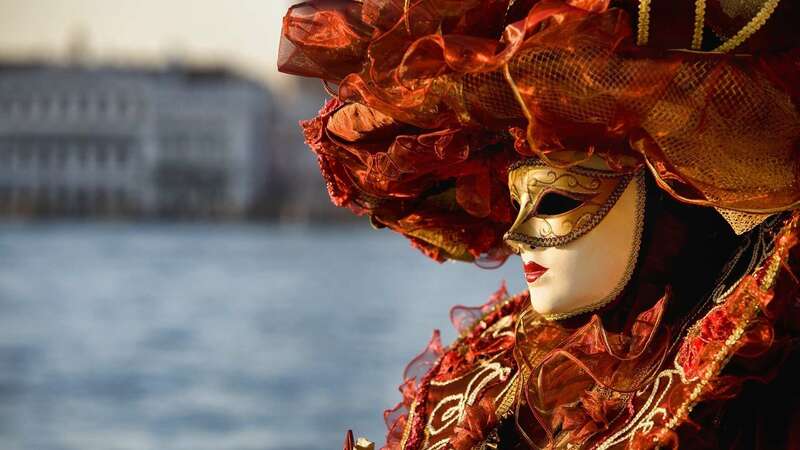 Carnival in Venice is one of the most famous and appreciated in the world, rich in charm and mystery, set in the extraordinary environment of this beautiful city. 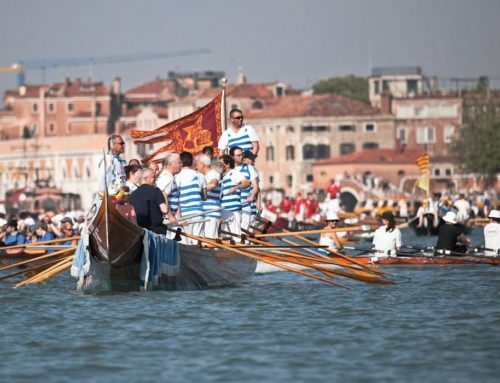 It is a celebration of historic origins, mentioned for the first time in a document of 1094 by the Doge Vitale Falier. Always a period of fun and festivities, the carnival was once with an escape valve to relieve tensions and bad feelings that were generated within the Republic. 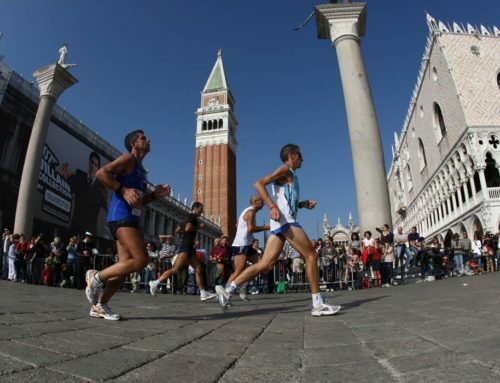 All kinds of entertainment and shows were set up at St. Mark’s Square and in the main courts of the city. In that period, which lasted much longer than today, Venice would be completely transformed, becoming an exultation of colours and triumph of masks of all kinds. Thanks to the anonymity offered by masks and costumes, every citizen was considered equal to others, ensuring at least a temporarily annulment of all class, gender or race differences; Not to mention that the mockery of the authorities and the aristocracy was largely tolerated. Getting dressed up was a way to get rid of your everyday reality and be treated like the others. “Good morning Madame mask” was the typical greeting heard in that time along the streets. Around 1271, the creation of masks and costumes became a true art, so much so that special schools and production techniques were established. One of the oldest Venetian costumes, still in vogue, is the Baùta: a costume consisting of a black tricorn, a white mask called a larva with a form that permitted eating and drinking without having to take the mask off, and a tabarro, a huge Dark cloak that hid the body from view. 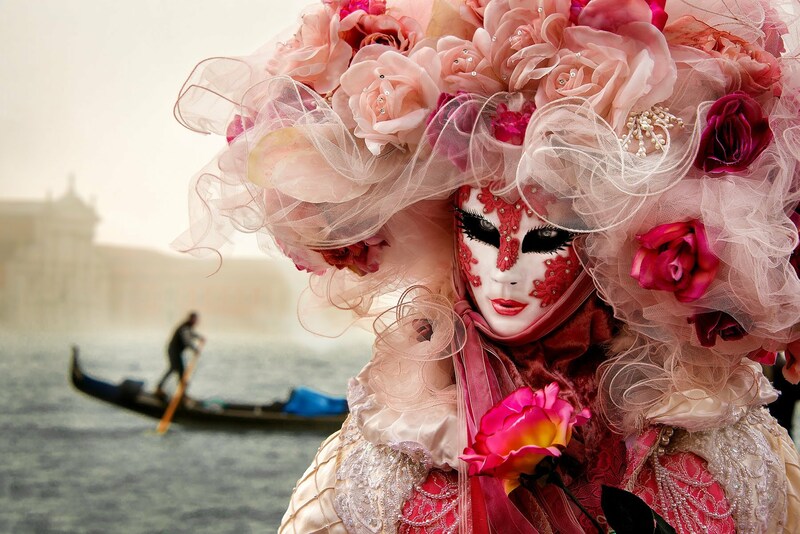 The Venice Carnival reached its maximum splendour in the eighteenth century, increasing its prestige throughout Europe. In the past, February 2 was a Venetian day for the blessing of brides, during which the twelve most beautiful poor girls of the city received a blessing for their marriage and their dowry was sponsored by the richest people in the city. In 943, the girls were kidnapped by some Istrian pirates then rescued by an expedition organized by the Doge himself. To celebrate the release of the girls and the murder of the pirates, La Festa delle Marie was established. 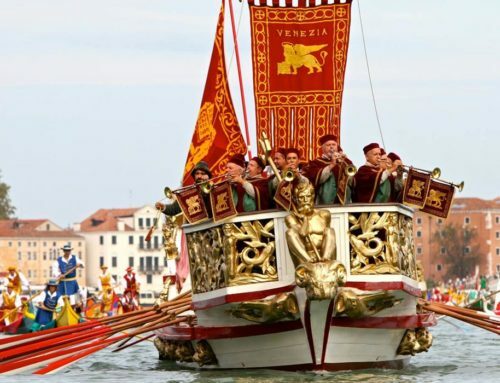 Each year, two girls were chosen for each of the Venetian districts, then nicknamed “Marie”, dressed as princesses and made to parade in a boat procession, and they had to attend religious functions. After becoming an obsolete practice in the 14th century, the Festa delle Marie was officially resumed in 1999. Nowadays, in the weeks preceding Carnival, there is a sort of selection among the most beautiful girls in the city to choose the twelve that will parade in the procession during the celebration on the first carnival Saturday. The following day, in St. Mark’s Square, the proclamation of Mary of the Year is held. This celebration dates back to the mid-sixteenth century, when during the celebration of Carnival, a young Turkish artist reached the belfry of St. Mark’s bell tower, walking on a rope anchored to the pier, and thanks only to the help of a barbell. In the descent, he reached the balcony of Palazzo Ducale, where he paid homage to the Doge. The amazing feat, which took the name of svolo del turco, was so successful that it was revived in the following years during the Thursday before Lent. For many years professional acrobats and tightrope walkers did astonishing performances that prompted even young Venetians to attempt them, showing great courage and dexterity. This celebration took the name of volo dell’angelo only later, when a man with wings hanging on a rope came down the cable with great speed. 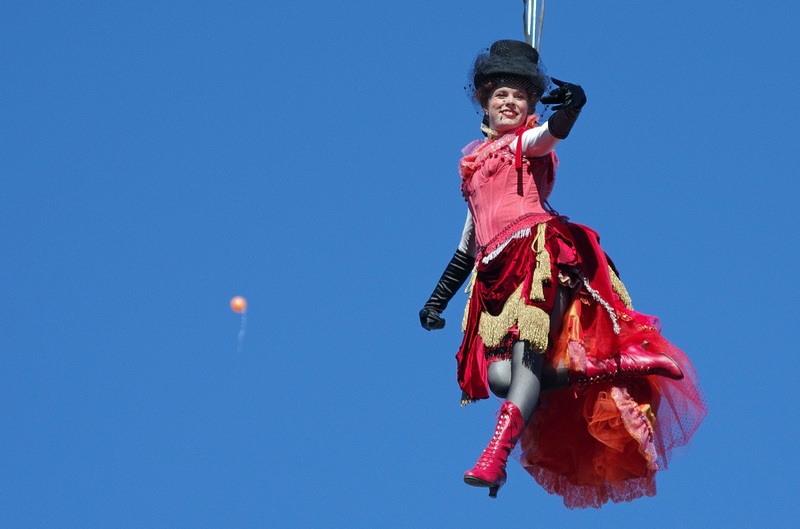 The feat became increasingly difficult and reckless each year, until the inevitable happened in 1759 and an acrobat fell to the ground, leaving the crowd dismayed. From that moment on, the figure of the acrobat was replaced with a large wooden dove, which dropped flowers and confetti onto the crowd. Thus, the volo dell’angelo became the volo della colombina (flight of the dove). 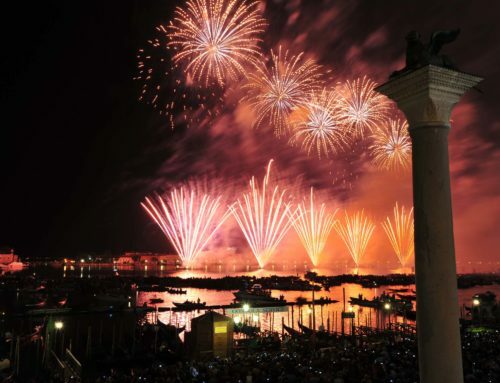 This event, interrupted with the end of the Republic of Venice, was resumed in more recent times and it was moved to the first Sunday of Carnival, when a mechanical dove descended towards the Ducal Palace, pouring confetti and small gifts onto the crowd. In 2001, it was decided to resume the old tradition of the angel’s flight, using an actual artist who is secured to a metal cable and brought down slowly. Given enormous success of the angel’s flight, the volo dell’aquila (flight of the eagle), which takes place in the same way on the Sunday following that of the Angel, was also introduced in 2012. Carnival is, therefore, not only a moment of fun and leisure, but a real re-evocation of a now distant past that continues to stay alive in the heart and soul of the Venetians. The magic atmosphere of Carnival lasts all year long in the calli, the square, the campi and the campielli (little squares and courts), intensifying during the two weeks leading up to Martedì Grasso (Mardi Gras or Fat Tuesday). If you would like to enjoy this extraordinary festival, do not miss the next Carnival, from 16 February to 05 March 2019.